LEXINGTON, Ky. (AP) Defensive lineman Josh Paschal has a malignant melanoma on his right foot and offensive line coach John Schlarman is dealing with an unspecified health issue, according to Kentucky coach Mark Stoops. 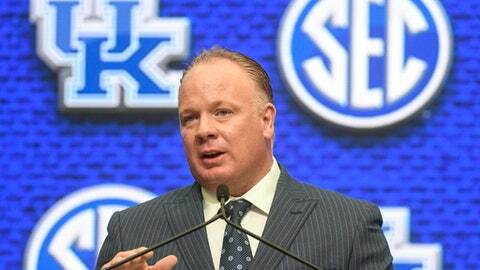 The sophomore recently had lesions removed from the bottom of the foot, Stoops said Friday. Paschal was awaiting results from another procedure Wednesday. Paschal had 17 tackles (4.5 for loss) and 3.5 sacks as a freshman and was expected to play a bigger role this season. Stoops said Schlarman, in his sixth season with the Wildcats, is still coaching while undergoing testing to determine his illness. ”John and Josh are very strong, very good people, two of the best people we have in our program,” the coach said. ”The team will be supportive of them to battle through these health issues. Kentucky opens on Sept. 1 against Central Michigan.